Let’s be creative, involve the kids, bring out the kid in every adult, and add some holiday cheer to our community and our neighborhood mail carriers. Decorations will be judged by a traveling troupe of neighbors, who will sing you a Christmas carol if you request. Also, all neighbors may vote for their favorite decorated mailbox on the website. 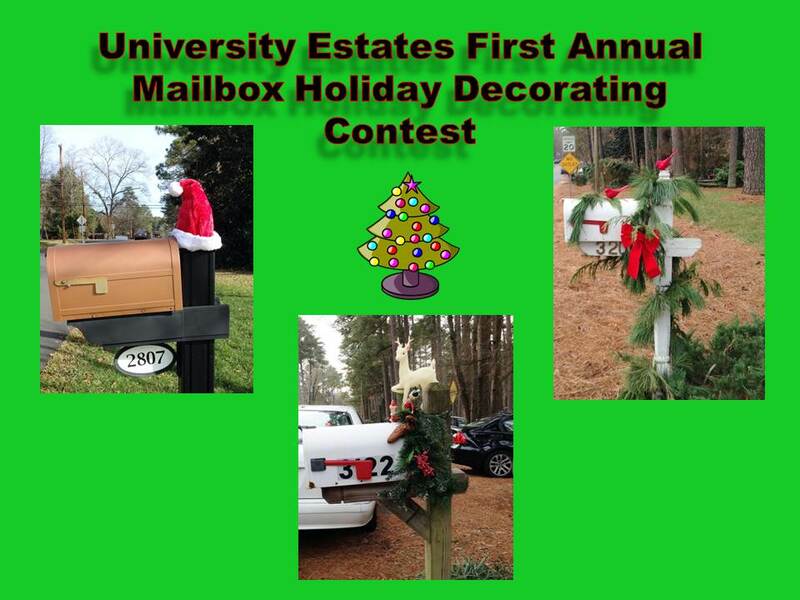 The top three picks for best decorated mailbox will receive a target gift card for $10, and a posting of their decorated mailbox on Website photo gallery.